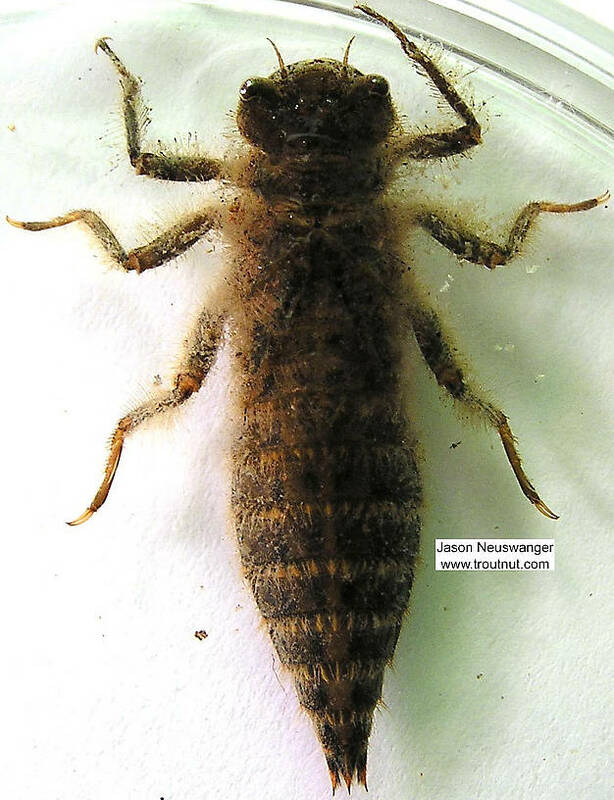 This is a realy big, dark dragonfly nymph. 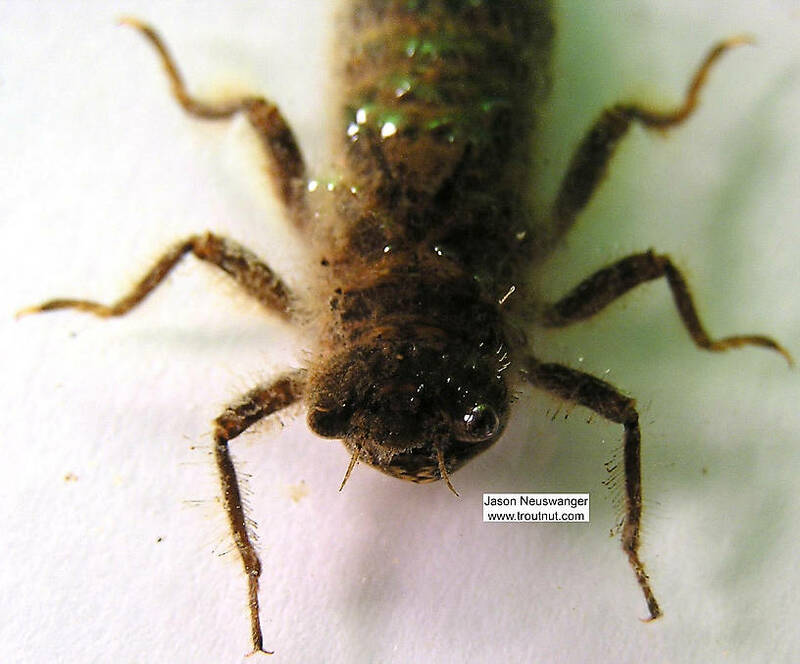 Notice how "fuzzy" it is--it's covered with small hairs that collect sediment and debris and camouflage the nymph to match its natural surroundings. The greenish cast in some of the photos of this specimen is due to strange lighting during my first night photographing things for this site. 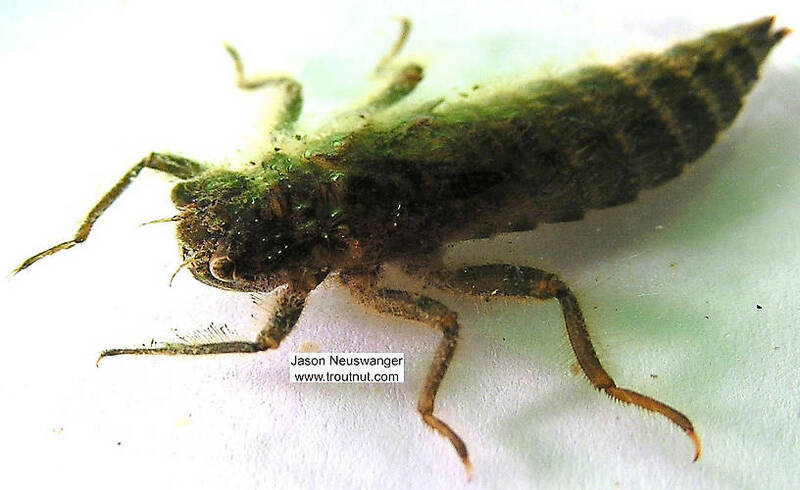 I have screened through the images on this site, and I am just having a big trouble identifying this bug I have pulled of a stone in my local river. It is very large, maybe size 10 or slightly larger, I have found other size 14 bugs of the same shape/style (also in the picture but difficult to see) and when I came across this monster I had to know what I had found. Also, after finding very similar nymphs that are size 14, can this one actually be a dragonfly? Is it just a monster of the 'normal' brown drake? Or hendrickson hatch I have heard about on this stream? One thing that is not the same, is the abdomen (bulbous in shape in the photo's on this site) does not appear to be the same as the example I have. 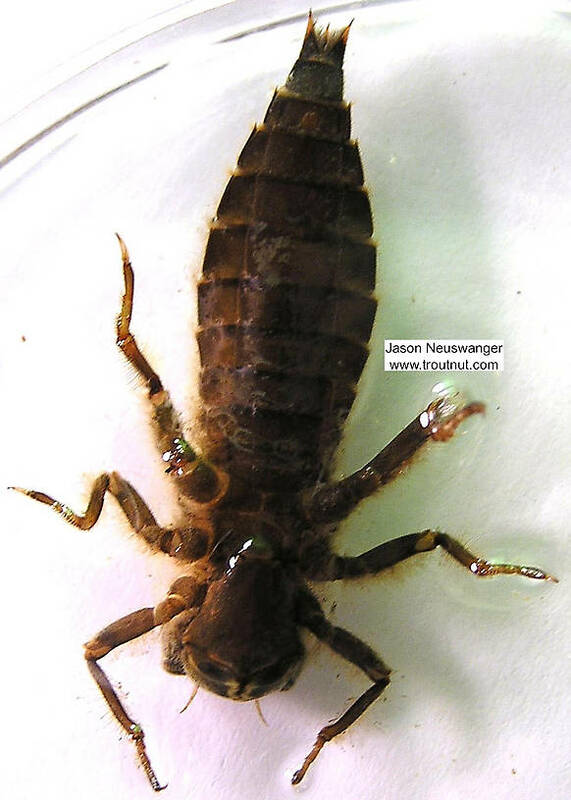 The bug I have has a tapered abdomen going back to this 'paddle' I mentioned earlier. More 'macro' photo's tonight when I get home, these are crappy cell phone pics for now.